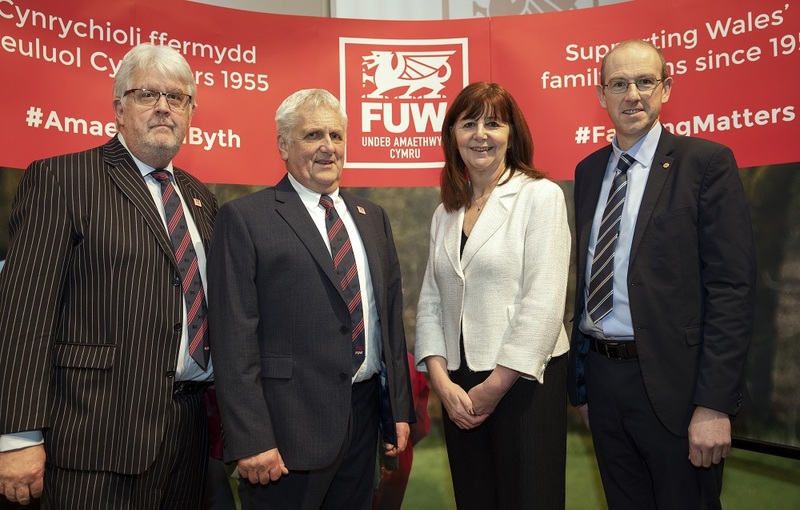 Speaking at the FUW’s twentieth annual farmhouse breakfast at the Welsh Assembly, FUW President Glyn Roberts has warned “disastrous impacts” of leaving the EU, the customs union and single market on 29 March are already being felt. Roberts also highlighted the confusion and uncertainty in the food sector regarding possible changes which would hit home in a little less than ten weeks time. “The food served here today is from produce stamped with the oval EU ID and health marks we are all familiar with. “With just weeks to go before Brexit, our eighteen or so Welsh abattoirs, and other producers, do not know what they will need to stamp their produce with for it to be legal here or elsewhere in just a few weeks’ time. “Exporters packing and shipping products now do not know whether the health and export certificates that accompany those shipments will be legal when it arrives on the other side of the world in just a few weeks’ time,” said Roberts. Roberts warned that companies reliant on EU supply chains have no experience of dealing with the complex health and export certificates required for third countries – which the UK will become – to import into the EU, and have just weeks to train and become familiar with rules relating to hundreds of different export destinations. “We do not know what tariff rates will be charged on imports from other countries after March, as the draft tariffs will not be published until the end of February and need to be approved by parliament – so deals with importers must be reached with no knowledge of the additional costs likely to be incurred at ports. He added that contingency planning for a hard Brexit must also be stepped up, and called on the Welsh Government to work alongside other UK Governments to ensure action can be taken at short notice to protect our farmers and food producers from the sort of catastrophe we have only previously witnessed during Foot and Mouth disease outbreaks.